HOME TO THE HILL 2019! Let us know you have arrived, get your name tag and tee shirt, and ask questions. The Canteen will be set up as a lounge space to relax in until the reception. A map of the trails around campus will be provided, they are open for use as is the lake. 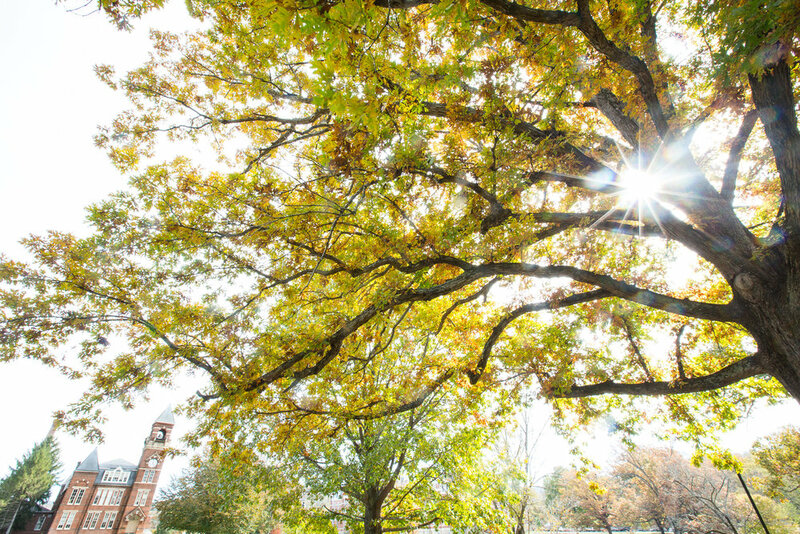 Miller will always be our home, so have fun and explore a little! Join fellow classmates and alumni in the foyer for a drink and hors d’ouevres reception leading up to a banquet dinner! Reconnect with former faculty members and get to know the newer faces on the hill! Don’t forget to send in pictures for the slideshow! 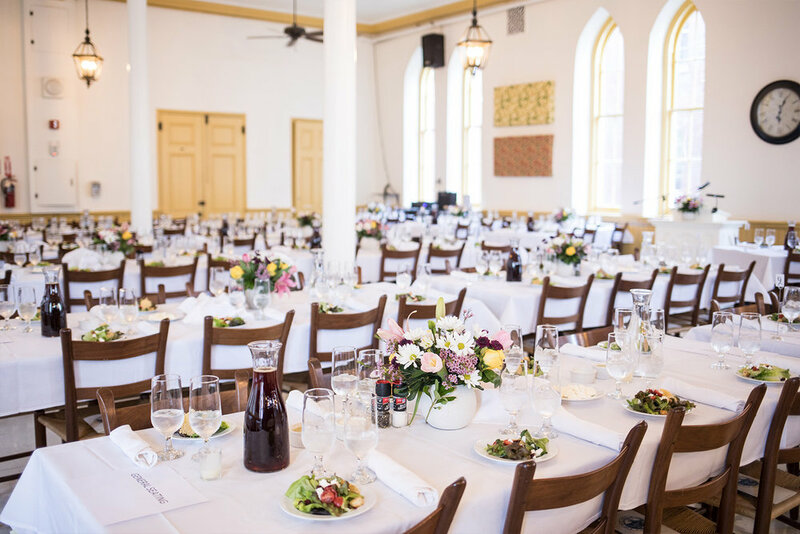 Enjoy a banquet dinner in the dining hall and make your plans for the weekend with friends. There will be a carved beef station and mushroom risotto as a vegetarian option — please note food preference on the registration form. Guest speakers will be announced closer to May! Go back in time to the Regis School for Boys, an all-male boarding school overtaken by terrorists. While the authorities remain helpless, a group of rebellious and mischievous students decide to put their resourcefulness to good use. Popcorn machine and drinks on hand for the full movie experience! See pictures of the movie being filmed at Miller HERE. Movies not your thing? Meet up with fellow alumni and faculty at Crozet's favorite watering hole and hang-out spot. Locally crafted beers and delicious food to boot — generally live music too. If you don’t feel like movies or heading off campus, there is something for you too! 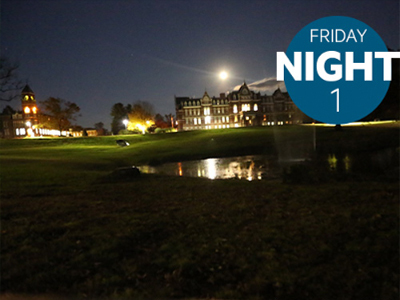 Bring a blanket and stargaze from the soccer field or by the lily pond, reminiscing with friends (introvert friendly!). If you did not get a change to check-in on Friday, stop by the table on the porch near the breakfast bar to get your name tag and tee shirt! Help yourself to coffee, juice, and light fare at the Bistro/Canteen before the day's activities. All alumni are welcome to take part in the Annual Meeting (first time attendees especially) to learn more about how the Association is run and to elect new officers in this exciting time for the school! Things are evolving around campus, see it all on a guided tour! 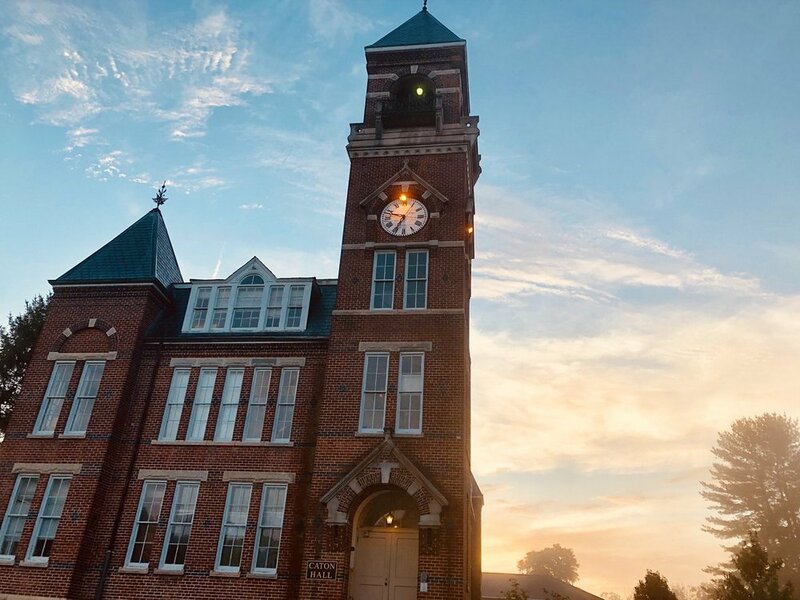 Caton Hall’s 1st floor is now a technologically advanced science hall, but the 2nd and 3rd floors will have you feeling like you’ve gone back in time to the wood-shop and the music room! Pre-made and custom sandwich line with a panini press! There will be lawn games to play and a hosted Trivia game under the tent in the Bull Ring. The lake will be open for use throughout the weekend. There is a boathouse with paddle-boards and kayaks to use. If water isn’t your thing, Miller now has more than 15 miles of trails to run, hike or bike! There will be a guided bike tour of trails as well! The Bistro will remain open and most parts of the buildings will be accessible to check out. Don’t miss the renovated gym and the new weight-room at the baseball field! Whatever you do, make sure to work up an appetite for the cookout! BBQ and all the fixins served at the Canteen. Grab a plate and find your favorite spot on the Hill. Lawn games will remain setup. Make sure to take pictures and hashtag them #HOMETOTHEHILL2019!!! The music starts at 7:30ish. Dress is casual and comfy. As the sun sets, enjoy drinks, snacks, and a live band. Full Plate will play rock cover songs from the 60s to present day. Dancing and singing along is encouraged! This weekend is for YOU! Please take part in what sounds interesting to you, and if that is grabbing a drink and hanging out in the bull-ring or grabbing friends to walk to the lake, do what excites you and makes you happy to be back on the hill! Help yourself to a bagel bar on the Canteen/Bistro porch! There will be cream cheese, pb&j, cold cuts, and fixins to get you fueled and ready for the last day, or to grab on your way out! Make all kinds of new memories on the Hill in some of YOUR favorite places! Play pickup basketball in the gym, spend the day at the lake, hike campus, or tour a local vineyard, brewery, or cidery (King Family and Pro Renata & Bold Rock Hard Cider are some of our favorites)! SHARE MEMORIES & PLAN FOR NEXT YEAR!